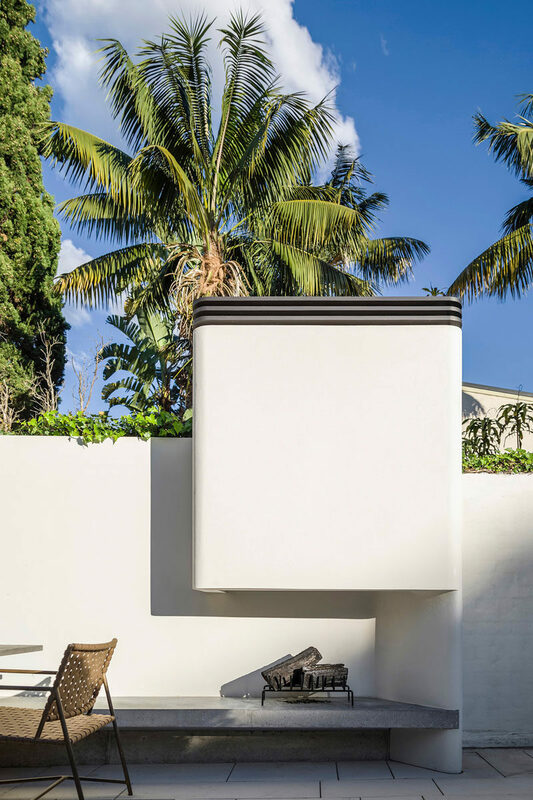 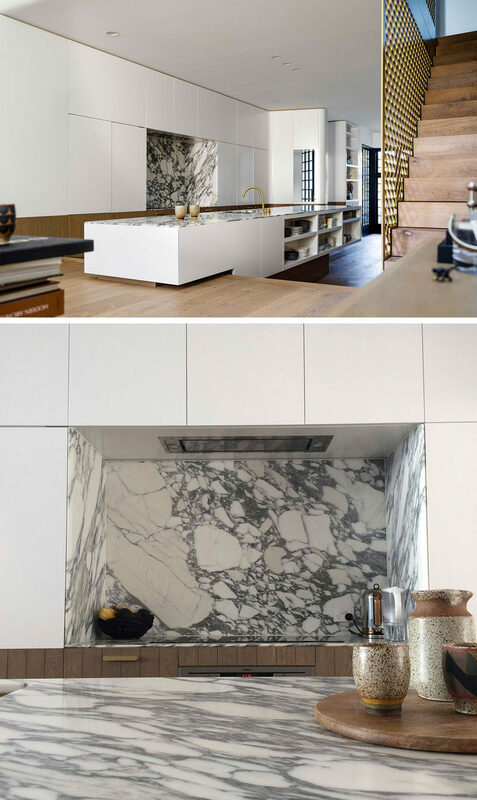 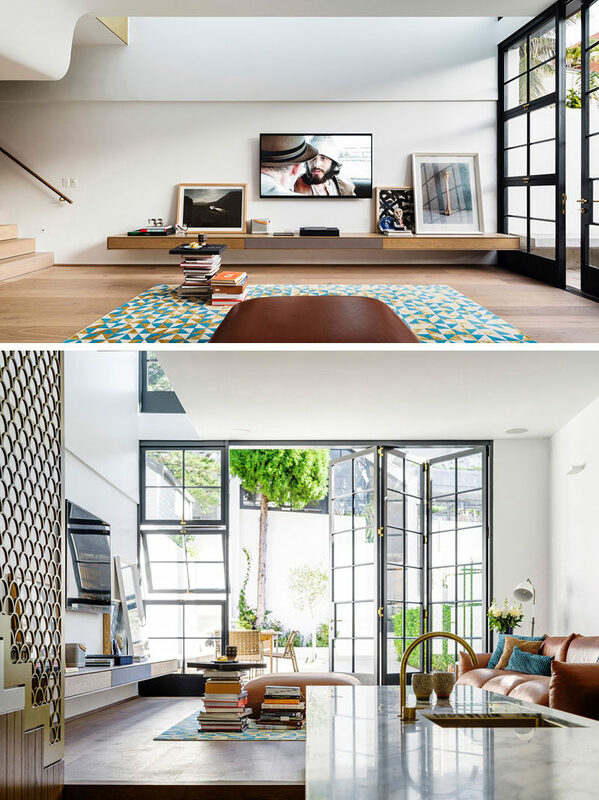 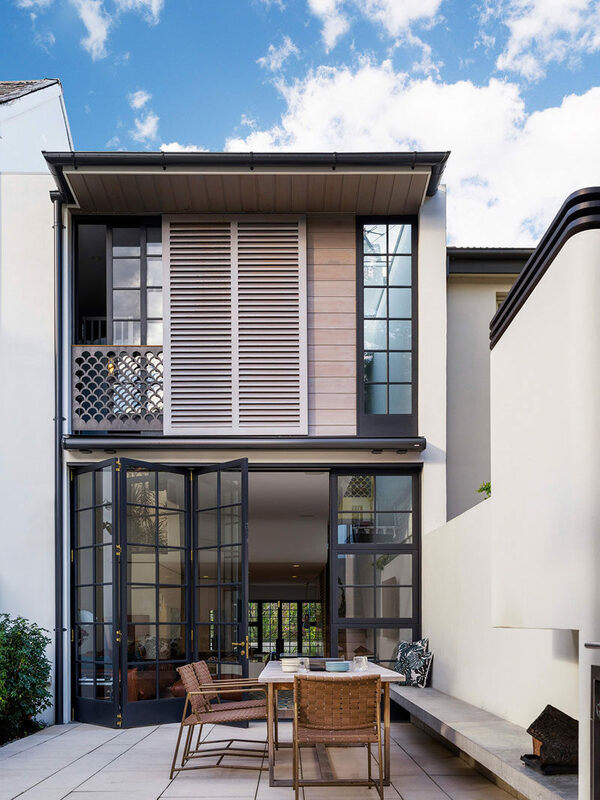 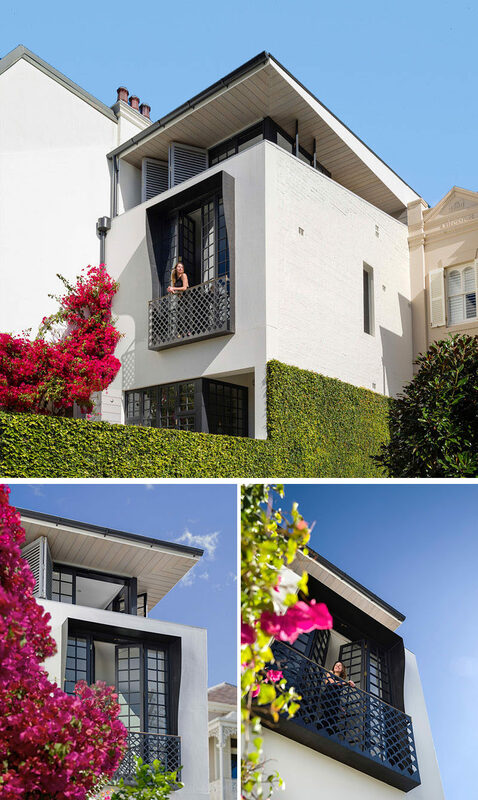 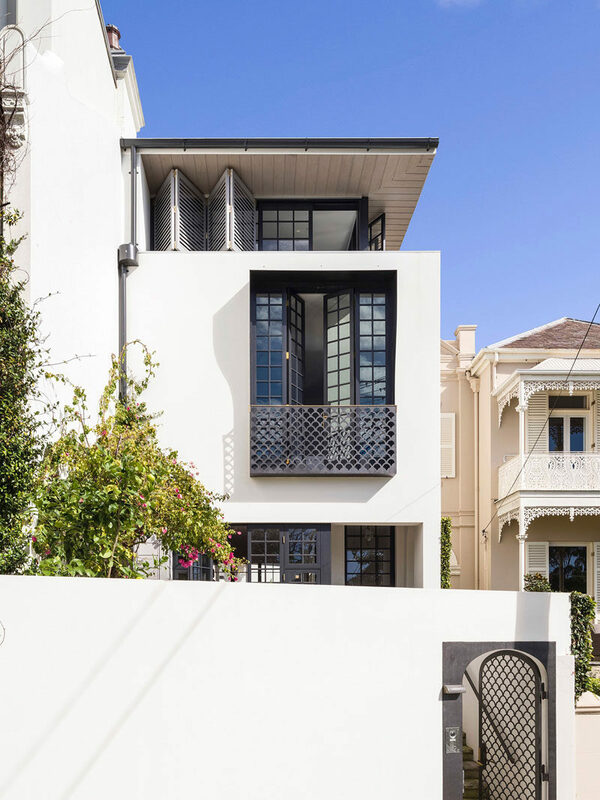 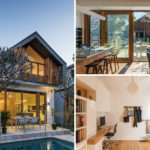 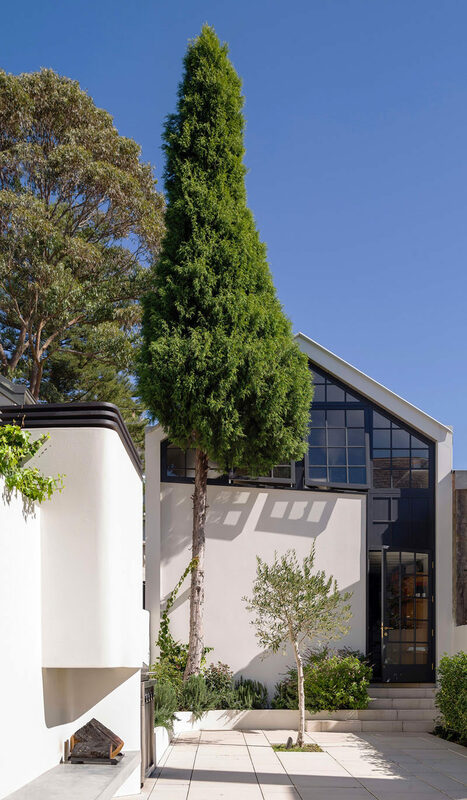 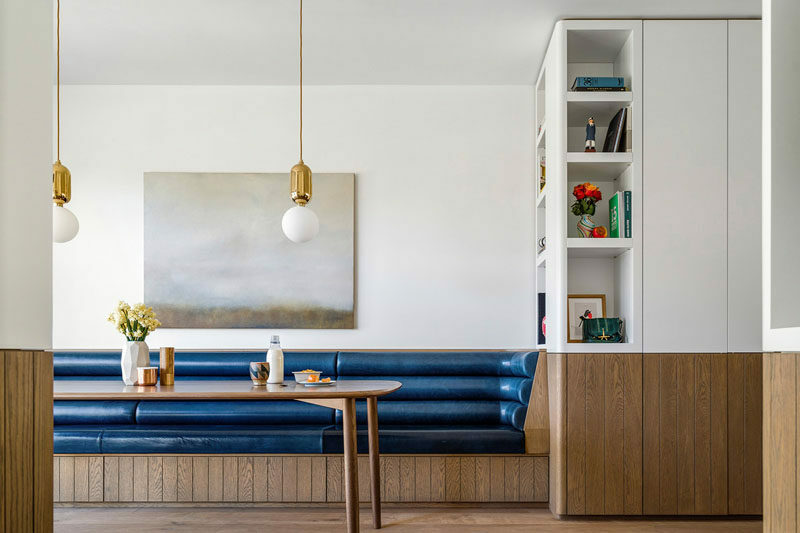 Luigi Rosselli Architects have recently completed the renovation of a 1950s row house in Sydney, Australia, for a film director and his young family. 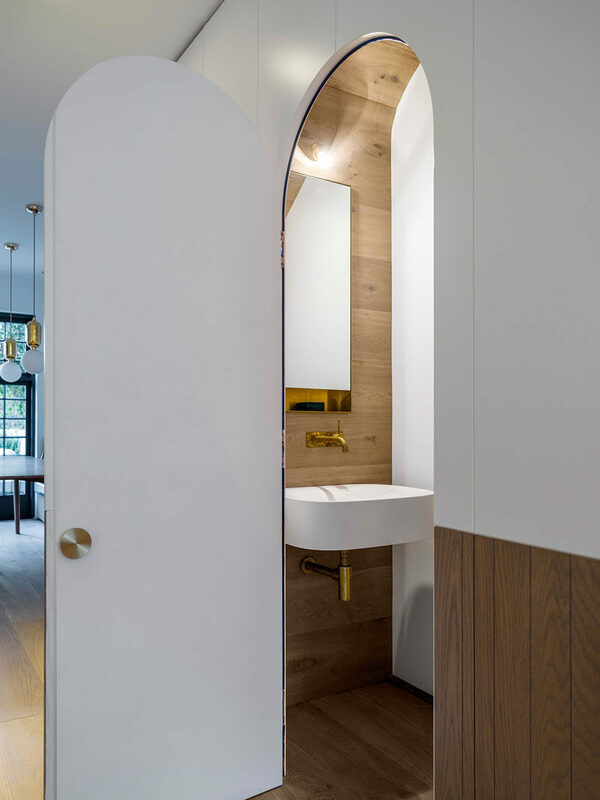 Opposite the kitchen and under the stairs is a hidden powder room with an arched door. 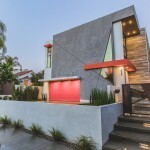 On the second floor of the home are two bedrooms, a bathroom and a study. 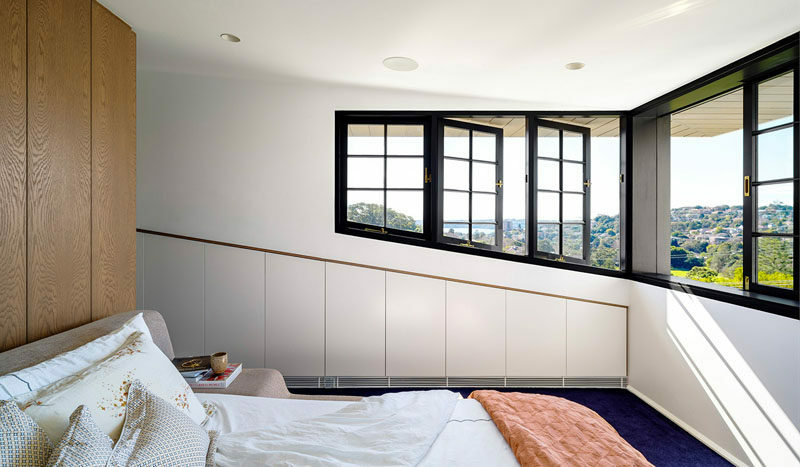 This bedroom has tall French doors that open inwards, allowing for fresh air and plenty of light to fill the room. 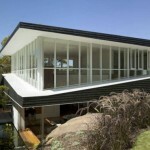 The top floor of the home is where the master bedroom and bathroom is located. 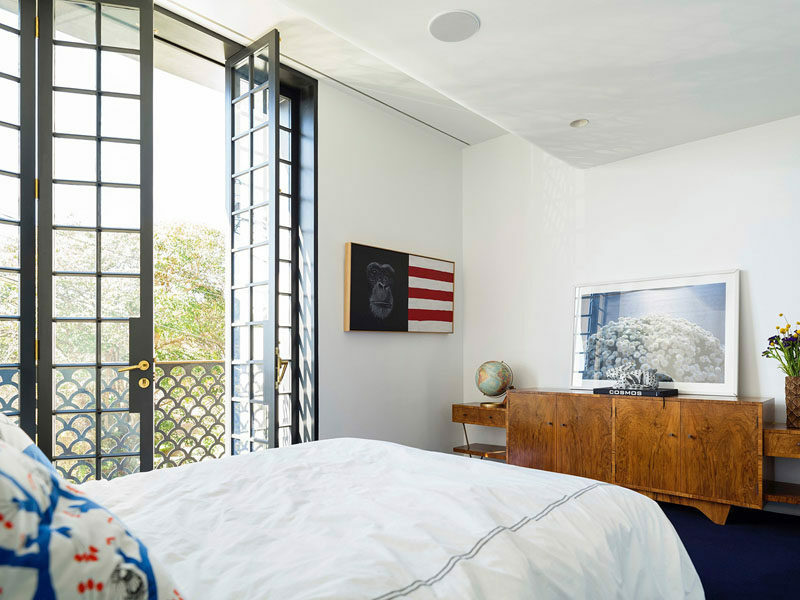 The master bedroom features black framed windows that can be opened, while deep eaves provide protection from the sun. 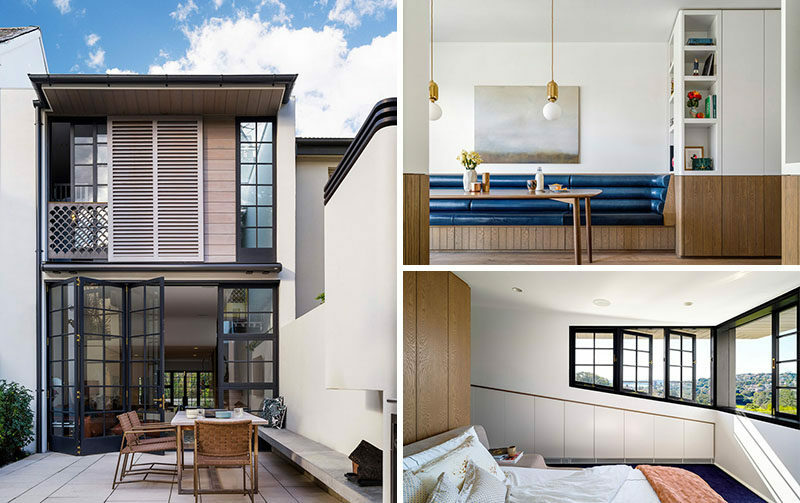 In the master ensuite bathroom, tall vertical mirrors let in the light from the window, while in the shower, a skylight lets you stare at the sky as you shower.